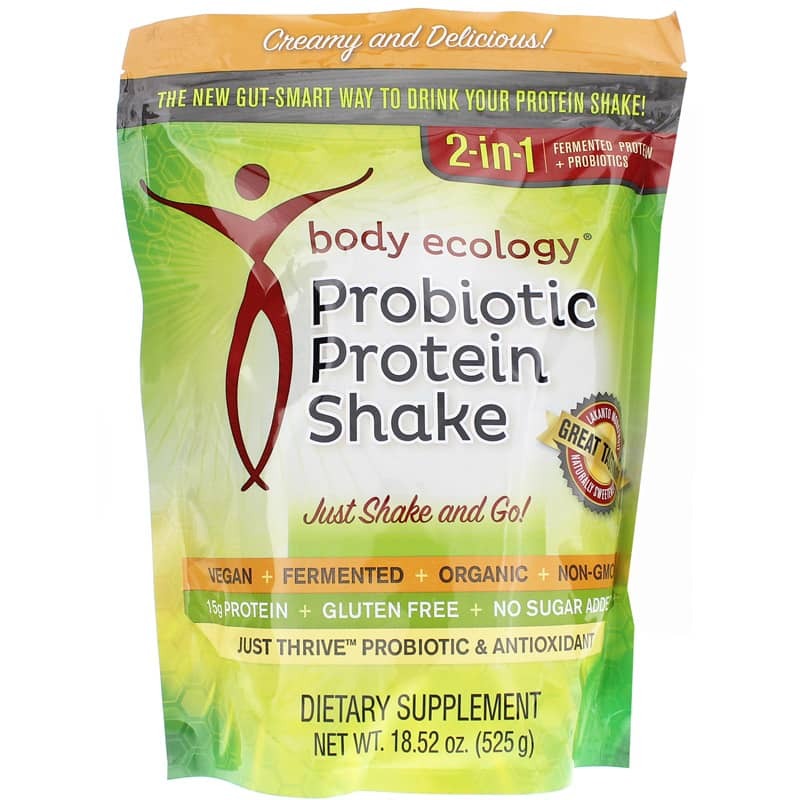 Body Ecology's Probiotic Protein Shake has the 2-in-1 benefit of helping with weight loss and optimizing your health by attending to the health of your gut. It boasts an impressive line-up of high-quality ingredients designed to help your body achieve maximum performance. Fermented Green Vegetable Blend - Nutrient-dense green vegetables that are fermented to enhance bioavailability and alkalinity. 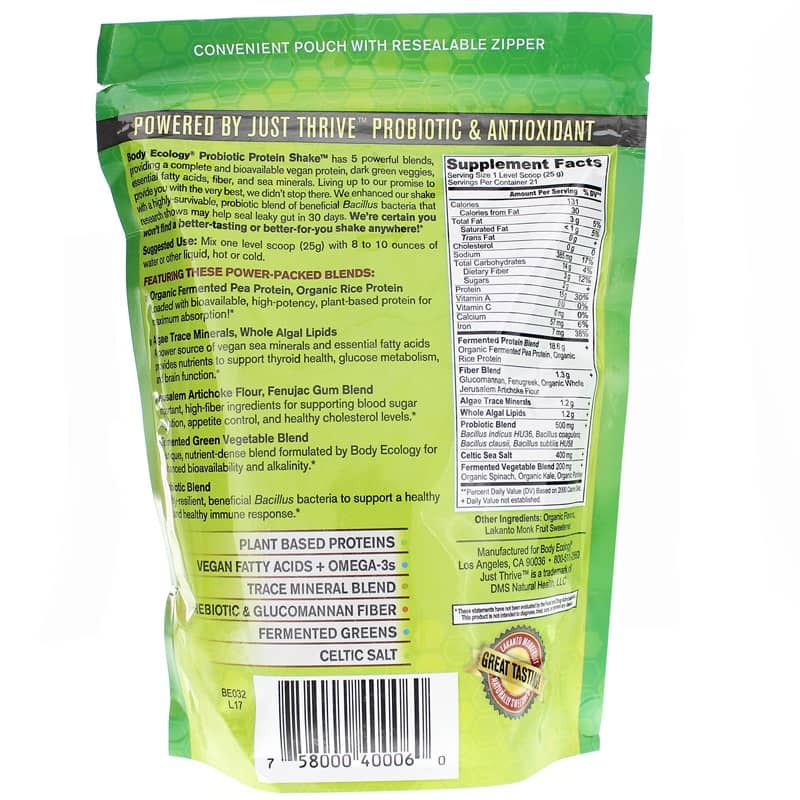 Probiotic Blend - Highly resilient, beneficial Bacillus bacteria to support a healthy gut and healthy immune response. Other Ingredients: Organic Flavors, Lakanto Monk Fruit Sweetener. Adults: Mix one level scoop with 8 to 10 ounces of water or other liquid, hot or cold.